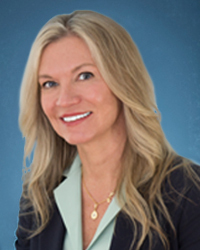 GLASTONBURY, CT – February, 14, 2018 – CMIC, a leading member-owned medical professional liability insurance company, is pleased to announce that Michelle M. Ursini of Wethersfield, CT, previously a Senior Underwriter with the Company, has been promoted to the role of Director of Marketing and Business Development. Ms. Ursini has over a decade of experience in the professional liability insurance industry. Before joining CMIC Group in 2016, she worked directly for a brokerage firm, overseeing key accounts and working closely with the firm’s clients. Prior to that, she spent several years as the Underwriting Manager for Oceanus Insurance Company. Through this positon, she was responsible for overseeing a team of underwriters, and likewise, managing the department’s workflow, goal tracking and productivity. She was personally responsible for securing over $20 million in premium for the company. In addition to her underwriting duties, Ms. Ursini also served as a liaison to the insurance carrier’s broker partners, as well as the company’s physician insureds. Ms. Ursini holds a B.S. in Accounting from Central Connecticut State University and is a licensed producer in several states, including Connecticut.